June 30, 2011  After a tongue-lashing from President Obama, the Senate is canceling its recess next week. Lawmakers have yet to strike a deficit-reduction deal to raise the debt ceiling, and they have to act by Aug. 2 to avoid a possible default. The impasse has led to a flood of scolding on Capitol Hill. Is GOP Resolve On Taxes Showing Cracks? 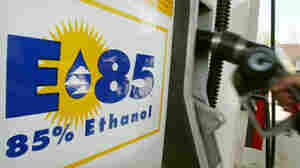 June 30, 2011  Most Senate Republicans voted two weeks ago to end a tax break for ethanol. Some see that vote as a chink in the armor of anti-tax crusader Grover Norquist and the no-new-taxes pledge he's gotten almost every GOP lawmaker to take. June 28, 2011  Budget deficit talks that broke down last week are now in the hands of President Obama and top senators — but remain mired in intransigence. At least three budget items arguably need to be on the table: revenue increases, entitlements and defense spending — but it's unclear any of them is. Minority Leader Mitch McConnell has declared "no new tax hikes." Two senators are introducing a Medicare savings bill that won't fly with Democrats, who win points by running against Rep. Paul Ryan's plan to "end Medicare as we know it." And defense cuts — even if small ones are achieved — are dicey for all. June 25, 2011  It's 96 days now since President Obama ordered U.S. forces to begin airstrikes against Moammar Gadhafi's forces in Libya. That's six days longer than the 1973 War Powers Resolution, which says a president can carry out a military campaign without congressional authorization. Two measures were brought before the House of Representatives that might have provided such authorization, albeit with strings attached. Both failed. NPR's David Welna reports. June 23, 2011  Secretary of State Hillary Clinton, more of a hawk than the president on the war in Afghanistan, testified before the Senate Foreign Relations Committee on U.S. goals and progress in achieving them in both Afghanistan and Pakistan. As the U.S. troops begin to pull out, what is the strategy for the remaining troops? How does the U.S. plan to work with a hostile and unstable Pakistan? 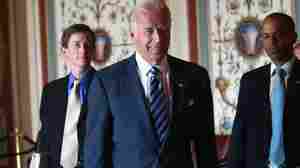 June 22, 2011  Competing demands for cutting spending have some lawmakers concerned that Vice President Biden's talks may not produce a deal to prevent a possible default before the summer deadline. June 22, 2011  Growing numbers of lawmakers are balking both at the length of the war in Afghanistan and its cost. The Democratic chair of the Senate Armed Services Committee says he wants President Obama to announce Wednesday the withdrawal of at least 15,000 troops by the end of the year. June 18, 2011  Congress has not formally authorized military operations in Libya, and the White House contends there's no need to do so. Is Obama in violation of the War Powers Resolution? It may depend on what constitutes being at war. June 14, 2011  The Senate on Tuesday blocked a measure that would have immediately ended both federal subsidies and protective tariffs for corn-based ethanol fuel. While the outcome showed the continued clout of farm states, it also revealed that most Senate Republicans are willing to get rid of at least one tax break. June 13, 2011  Several of the president's picks for key economic policy positions have been stalled in the Senate for weeks and sometimes months. 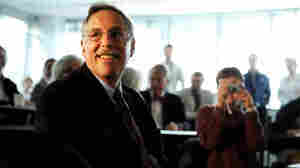 Among them: Nobel Laureate Peter Diamond, who last week withdrew his nomination to a seat on the Fed. June 9, 2011  CIA director Leon Panetta appeared at a confirmation hearing for his next likely post: secretary of defense. Panetta is expected to sail smoothly through the confirmation process to succeed Robert Gates. But the waters did get a bit choppy when Panetta went before the Senate Armed Services Committee Thursday to address issues of war and ever-elusive peace. June 9, 2011  How much you pay when you swipe your debit card will now be capped by the Federal Reserve. That's despite an effort in the Senate to delay new regulations over how much banks can charge for debit card transactions. Both banks — which collect those so-called swipe fees — and retailers — who pay them — mounted an intense lobbying effort. June 8, 2011  Republicans have no love for the Dodd-Frank financial overhaul that Congress passed last year. One provision they hate requires the Federal Reserve to reduce the 44 cents in swipe fees — the world's highest — that banks on average charge retailers every time a customer uses a debit card. Merchants are all for the reduction, but banks are all against it. The new limits, which would cut back on $16 billion in fee revenues for banks, are to take effect in July. Republicans — and one motivated Democrat — want at least a one-year delay. But the Senate rejected the plan Wednesday. June 3, 2011  The House voted Friday on two resolutions addressing concern that President Obama has not sought congressional approval for military operations in Libya. One sponsored by Speaker John Boehner says the president has not given Congress a compelling rationale for the operations. It was adopted. The other was not adopted: It was offered by Democrat Dennis Kucinich and would give the president 15 days to remove forces from Libya. June 1, 2011  Rep. Anthony Weiner responded to questions Wednesday about "Weinergate" — in which a photo of a man's nether regions was sent from the congressman's Twitter account to a young woman in Seattle. Weiner has said his account was hacked.